Continuing our series on London etymologies. 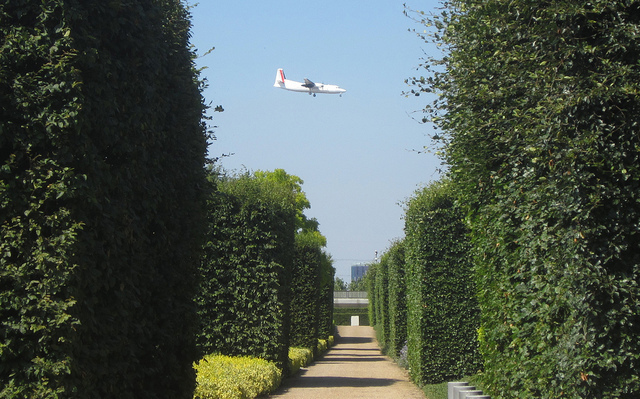 London is served by dozens of airports, airfields, RAF bases and short runways. To keep things manageable, we've included below only the six international airports, plus significant operational runways within the Greater London boundary. A fuller list of civil and military airstrips, past and present, in the wider London region can be found here. You'd have been hard pressed to find Biggin Hill on the map a century ago. It was little more than a farm, on the edge of an ancient settlement known as Aperfield. Then came the RAF base, which took the name of the farm. The base played such an important role in the Second World War that boring old Aperfield found itself renamed as the town of Biggin Hill. Why that original farm was called Biggin Hill in the first place remains a mystery, however. London's most prosaically named airport, and its newest, opened in 1987 on an unused strip of land in the Royal Docks. The terminal is around seven miles from the Square Mile that it's named after, but London City Airport was always going to attract more business than London Formerly Derelict Maritime Infrastructure Airport. 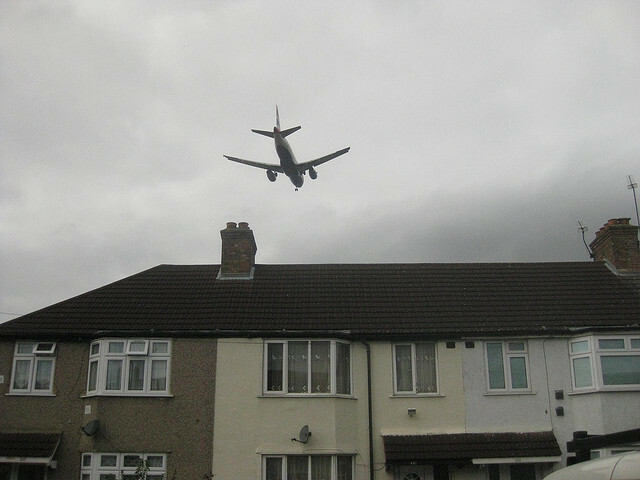 Final approach to London City Airport. When you see a 'wick' or 'wich' on the end of a landlocked place name, it often denotes a market or some other form of trading settlement. Chiswick, for example, was probably a place that produced and sold cheese. It is an absolute delight, therefore to learn that Gatwick is thought to be Anglo-Saxon for 'goat farm'. We say 'thought to' because the name isn't recorded until as late as 1241, long after the Norman conquest, when the 'de Gatwicks' were lording it over the area. Their adopted name is unmistakably Anglo-Saxon, however. A small grassy airfield, one of the earliest in the London area, opened here in 1930 beside the sleepy hamlet of Heathrow. This settlement was first recorded in 1410 as La Hetherewe, meaning simply a row of houses on a heath. Sorry, bit boring that one. Move along. Row of houses, not on a heath. Luton has an Anglo-Saxon origin and means simply 'town on the Lea'. Yes, the River Lea, which today passes the Olympic Park, and begins its journey to the Thames in the Luton area. Lea itself is thought to derive from Celtic (pre-Roman) times, perhaps meaning 'bright' or 'light'. This gives Luton the oldest name derivation of any London airport. The only operational RAF base within Greater London, Northolt also handles private civil flights. Northolt is an ancient name, recorded in the Domesday Book as Northala, and in a 10th century source as Nord Healum. A modern translation might be 'north heath'. The old name is recalled in Northala Fields, a series of artificial mounds created from the rubble of old Wembley Stadium. A geographically controversial inclusion perhaps, but Southend is officially designated as one of London's six international airports. At 42 miles from the capital, it is the city's most distant air hub. Originally, Southend-on-Sea was literally (and littorally) the 'south end' of another village, Prittlewell. Thanks to its coastal location, this little-dell of Prittlewell grew into a popular beach resort, and soon became the dominant conurbation. 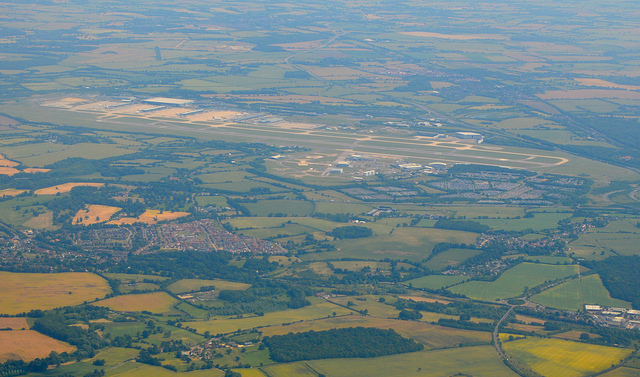 The Essex airport, some 35 miles outside of London, is named after the adjacent village of Stansted Mountfitchet. The name Stansted goes back to Saxon times, and translates as 'stoney place', a lithic harbinger of the acres of tarmac and concrete that, a millennium later, would characterise the modern airport. The second part of the village's name comes from local land owner William de Mountfichet (1086-1156). This Norman baron unwittingly made his mark on the tube map. He founded Stratford Langthorne Abbey in 1135 — its memory lives on into the 21st century in Abbey Road DLR station.